Looking to pick up some extra guide work on some of the most beautiful rivers in the West? 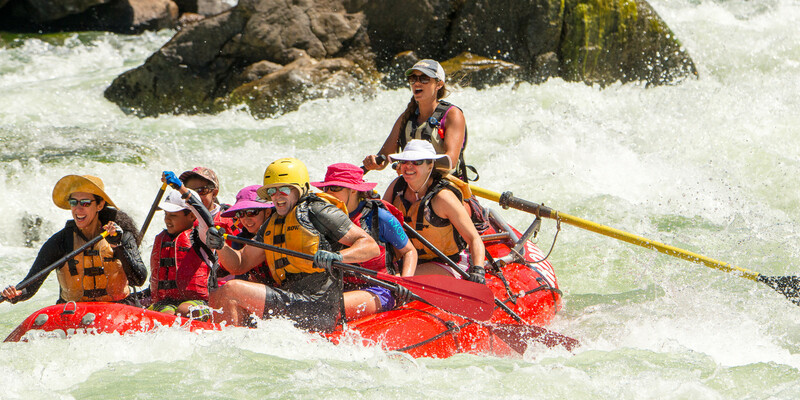 ROW seeks to hire a few experienced guides to work as Guest Guides on rivers such as the Lochsa, Spokane, Clark Fork, Salmon River Canyons and Rogue. ROW also occasionally needs extra bike or sea kayak guides for trips out of Coeur d'Alene. Like a substitute teacher, Guest Guides are periodically needed as an extra guide on busy days or weeks of the season. Guest Guides perform all the duties of a regular guide and are expected to perform to the same standards. As a Guest Guide, you will work with a fun-loving, thoughtful and talented group of people with a tremendous passion for the natural world. Picking up some trips as a Guest Guide can be an enjoyable way to to compliment your normal professional life or to fill in gaps in your guiding schedule. It is also a great way to get a foot in the door with ROW if you're interested in future full-time work. Infrequently on the Salmon River Canyons, Hells Canyon, Middle Fork Salmon, Rogue or other multi-day operations. Infrequently on bike trips or sea kayak trips in the Coeur d'Alene area. Guest Guides must have previous commercial guiding experience and either complete any required training or demonstrate equivalent preparedness to perform. To work in Idaho, you must meet the State of Idaho's guide license requirements. The exact nature of the commitment, including which rivers you are willing to work, availability, compensation and Idaho license considerations are negotiated individually. If you would like to be considered as Guest Guide with ROW, please submit the short application and river log following the link below. Provide meaningful interpretation to our guests on natural and cultural history topics pertinent to the trip, such as geology, Wild and Scenic Rivers, early homesteaders, Pacific salmon etc. Thank you for your interest in ROW Adventures.